Me and my sweetheart in the central Texas hills, Thanksgiving 1992. 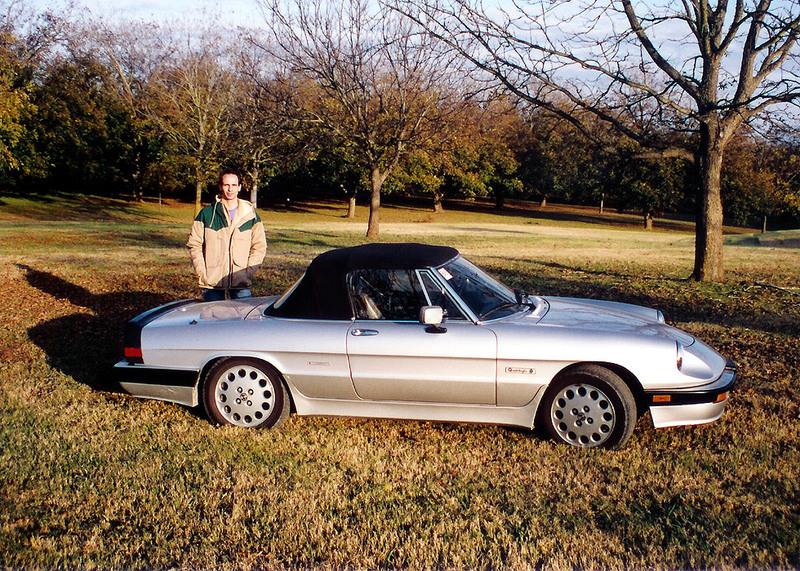 I've always liked those sporty-looking classic convertibles but could never narrow down my favorite - until I saw a red Alfa Romeo Spider "Quadrifoglio" back in 1991. It blew me away. I was determined to make it my next car. 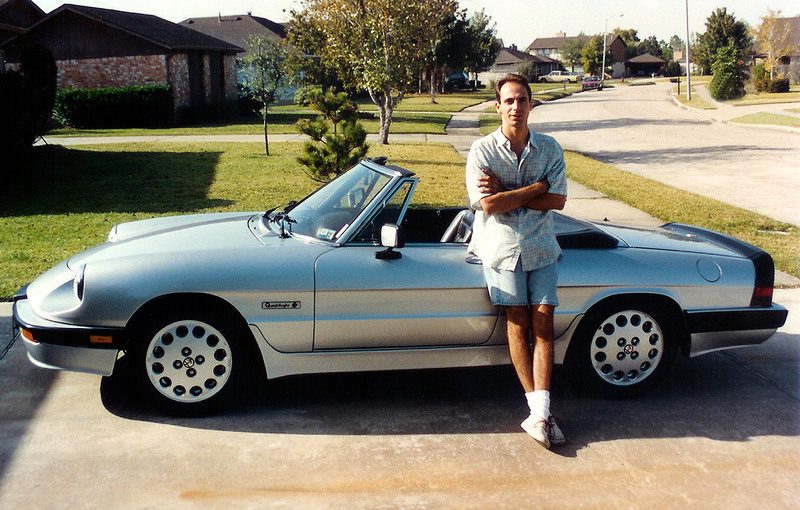 Within a year I bought this silver 1988 Spider Quad model. Even though I've since sold it, these cars will always make me stop and sigh. 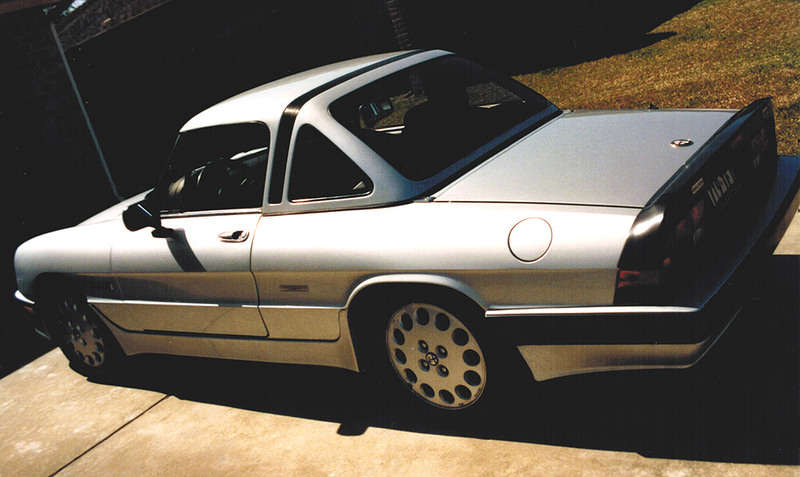 The design was in continuous production from 1966 thru 1994 and my favorite model years were from 1986-on. That's when Alfa updated their little beauty both cosmetically and mechanically. 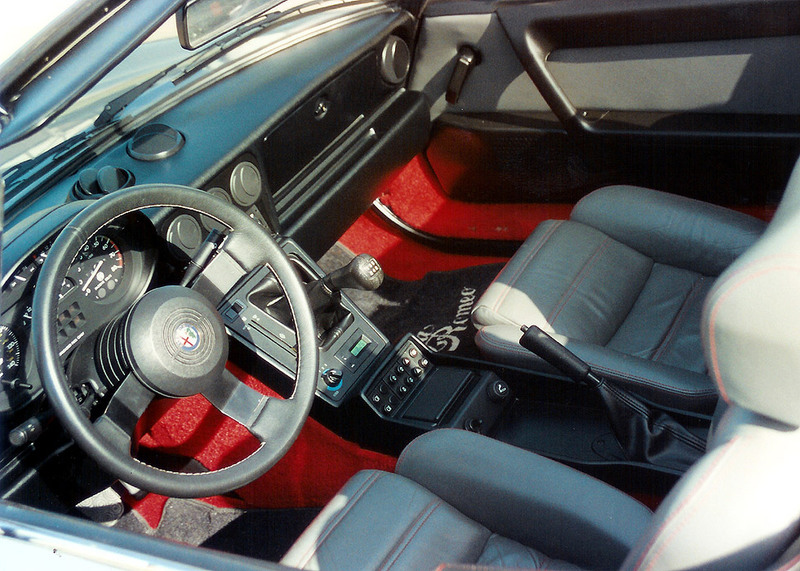 The "Quadrifoglio" (which means "4-leaf clover") was made between 1986-1990 and was their highline model, including a hard top and air-conditioning as standard equipment. To me, it was the most beautiful car you could own without buying a Ferrari. You've really got to hand it to those Italians! Historically, what always endeared this car to enthusiasts was its engine and its beauty. An in-line, double overhead cam, all-aluminum four cylinder engine was novel in 1966, but by now it was old news. Nevertheless, it sounded glorious! The car really felt nice above 30 mph and was a great ride for scooting around town. But its taught suspension made long-distance driving less fun. The curves in its body were wonderful, as was the steering feel and sport seats. Yeah, baby! 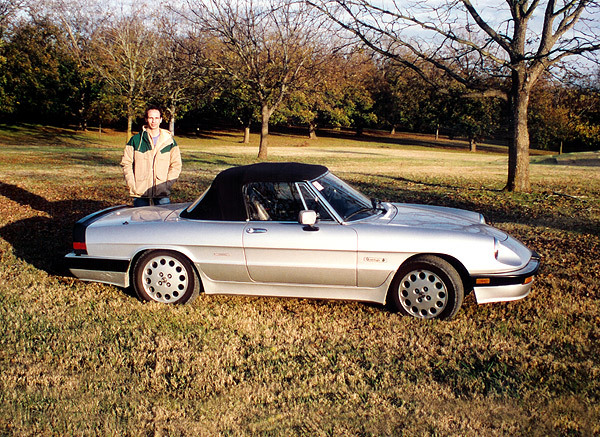 In 1991, Alfa subtley redesigned the body style for a fourth generation model produced thru late 1994, creating in my opinion the most beautiful Spider ever - which will surely become a collector's item. For anyone considering a purchase today, I would singularly recommend this last generation model. 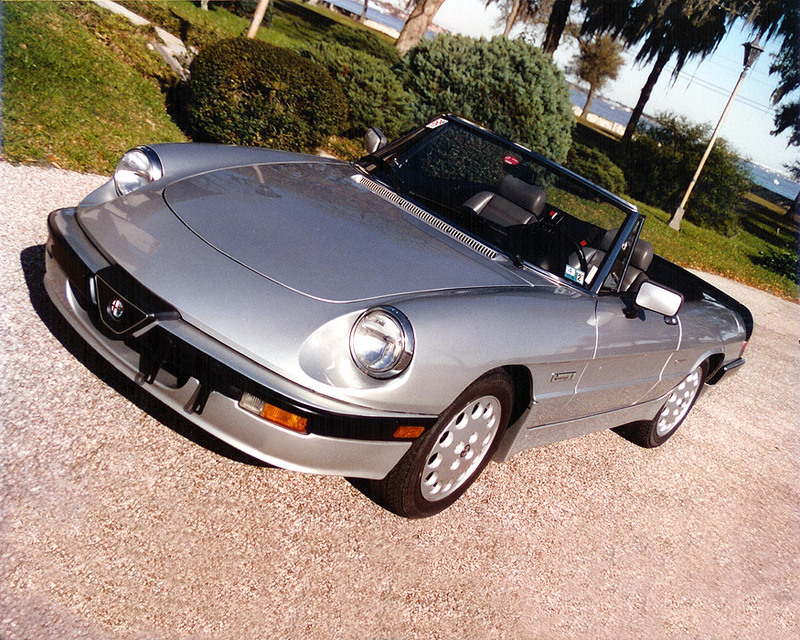 Sadly, the old girl couldn't survive in the U.S. market after the introduction of the Mazda Miata. What a shame. Its resale values have dropped since Alfa's pullout, and these cars can now be had for a song.